My favorite way to eat brownies? With cheesecake on top! 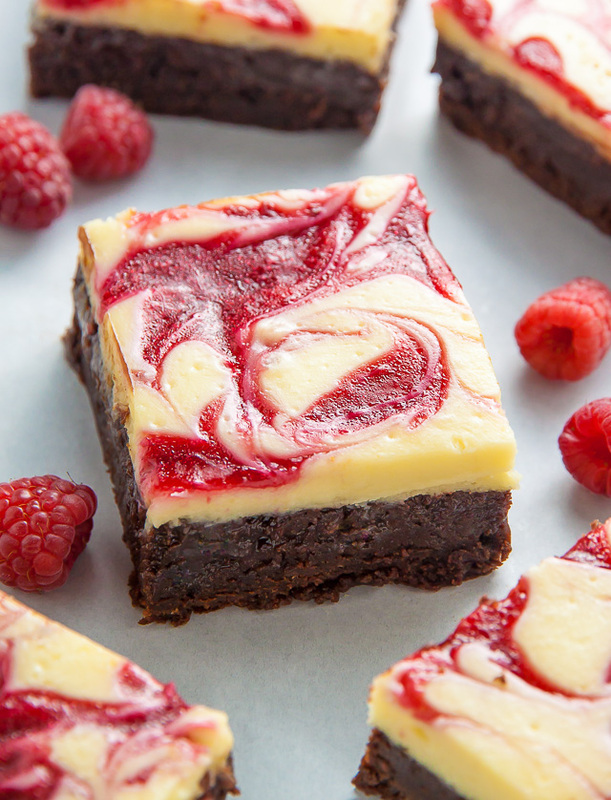 Rich and Creamy White Chocolate Raspberry Cheesecake BROWNIES are sure to make you swoon. 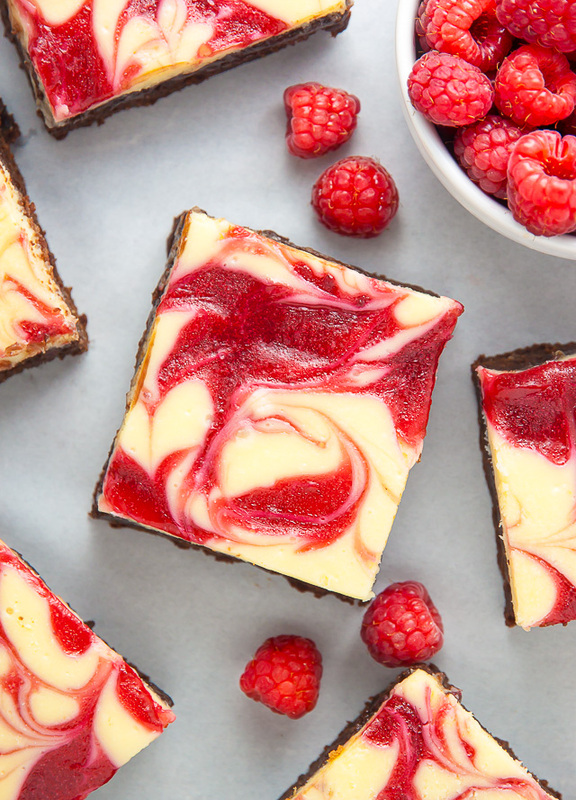 If you love white chocolate… and cheesecake… and brownies, get ready to seriously fall in love, because this dreamy combination, is now a reality. That’s right. I’ve gone and topped gooey fudge brownies with creamy white chocolate cheesecake and even added a stunning fresh raspberry swirl. Not sure if I should apologize or be accepting thanks for this one, so I’ll do both: sorry waistline; you’re welcome taste buds. Taking bites like that… best part of my job 😉 But I digress! While there are several parts to this recipe, it’s actually quite simple. My biggest piece of advice is to fully read through the recipe below, make sure you have enough time and ingredients on hand, and ask me any questions you might have before you begin baking. If you do that, you’re totally set for success! Below are a few more notes I hope you find helpful. I use full-fat cream cheese for the cheesecake layer and highly recommend you doing the same. These cheesecake gets a lot of flavor and texture from the fat in this ingredient, so using a fat-free or reduced fat replacement will result in a less creamy cheesecake layer. Be sure to use block cream cheese (also known as brick style cream cheese), not the scoopable cream cheese that comes in a tub. Cream cheese should be super soft before blending! I suggest leaving it on your counter for at least one hour, maybe two, depending on the temperature of your home. Fresh raspberries work best for the raspberry swirl. The raspberry puree may be made one day in advance and stored in the fridge until needed. For both the brownie and cheesecake layer it’s important your eggs and egg yolk are at room temperature. 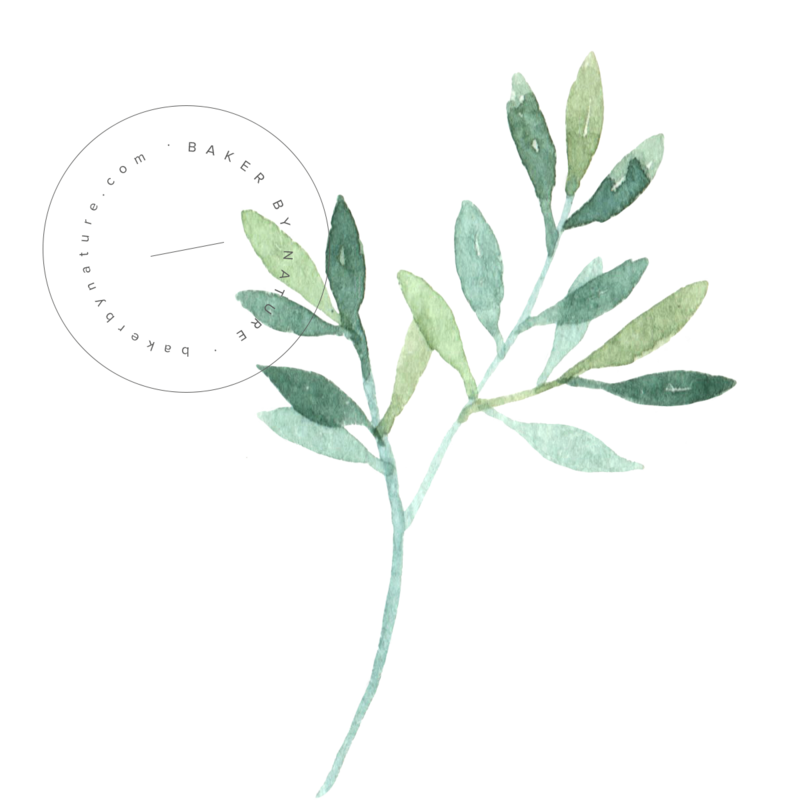 Cold ingredients will not incorporate evenly or bond, meaning batters made with cold ingredients don’t come together smoothly. To bring cold eggs to room temperature in a jiffy, simply place them in a bowl of warm water for 15 minutes. Just be sure you don’t use hot water! You will need dark chocolate for brownies and white chocolate for the cheesecake layer. Use any quality brand you know and trust! I used Ghiradelli 60% Dark Chocolate for the brownies and Ghiradelli White Chocolate for the cheesecake. Don’t over bake! The cheesecake should have a little jiggle in the middle when you pull it from the oven. 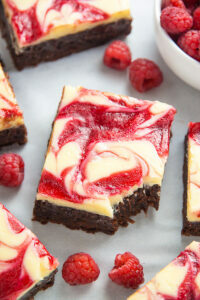 Fudge brownies topped with Raspberry Swirled White Chocolate Cheesecake! These are incredible. Preheat the oven to 350 degrees (F). Line a 9×13-inch baking pan with aluminum foil, allowing two of the sides to overlap. Spray foil and any exposed pan with non-stick baking spray; set aside. In a medium bowl, whisk the flour, salt, and cocoa powder together, set aside. Place the chocolate and butter in a large bowl and set it over a saucepan of simmering water, stirring occasionally, until the chocolate and butter are completely melted and smooth. Turn off the heat, keeping the bowl over the water and add the sugar; whisk until completely combined, then remove the bowl from the pan. Add in the eggs and whisk until just combined. Do not over beat the batter at this stage or your brownies will be cakey. Sprinkle the flour mixture over the chocolate mixture and, using a rubber spatula (not a whisk), fold the flour mixture into the chocolate until just a bit of the flour mixture is visible. Pour the batter into the prepared pan and smooth the top. Set aside while you prepare the cheesecake. Place chopped white chocolate in a small, heat proof bowl; microwave on low heat, in 20 second increments, until chocolate is complete melted. Whisk smooth and set aside. Using a handheld mixer (or a standmixer fitted with the paddle attachment) beat the cream cheese in a large bowl until completely smooth. Add in the sugar and eggs and beat until smooth and creamy, about 1 minute. Fold in the white chocolate, stirring until combined. Pour the cheesecake batter on top of the brownie batter. Set aside to make your raspberry swirl. In a small food processor or blender, puree the raspberries until completely smooth. Press the mixture through a fine mesh strainer, discarding seeds and pulp. Stir in the granulated sugar. Spoon the raspberry mixture on top of the unbaked cheesecake layer, a few dollops at a time. Use a skewer to swirl the mixture gently. Bake for 45 minutes, or until the cheesecake layer is set at the edges and only slightly wiggly in the center. Cool in pan completely, then transfer to the fridge to cool for at least 1 hour. Use the overlapped aluminum foil to lift the brownies out and onto a large cutting board. 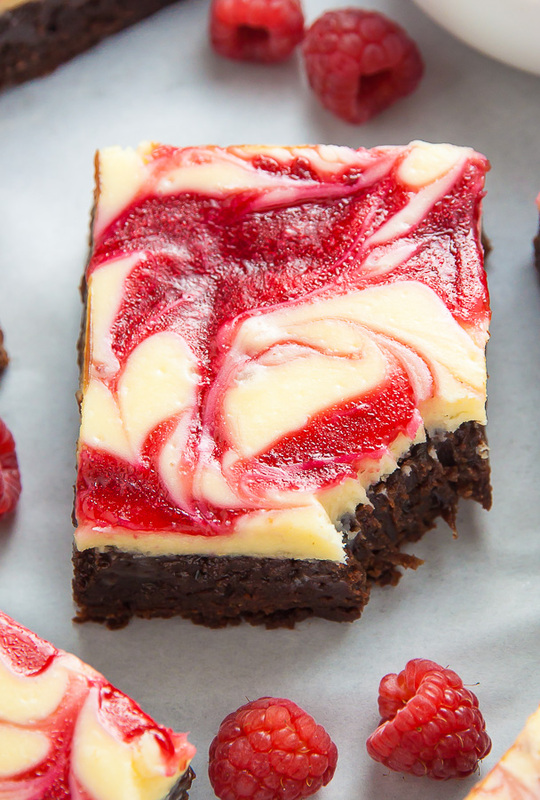 Cut cheesecake brownies into bars and serve. *For best results, recipe should be followed exactly as written. Raspberry puree may be made 1 day in advance and stored in the fridge until needed. *Brownies will keep, stored in an airtight container in the fridge, for 3 days. I’m swooning too! These look fantastic! Swoon sisters 😉 Thank you, Roxana! Oh wow, what a gorgeous marble! It surely stands out – it’s like an upgraded brownie! Well done! Whoa, warning label is right. These look divine! Uhhh that cream cheese layer is insane! 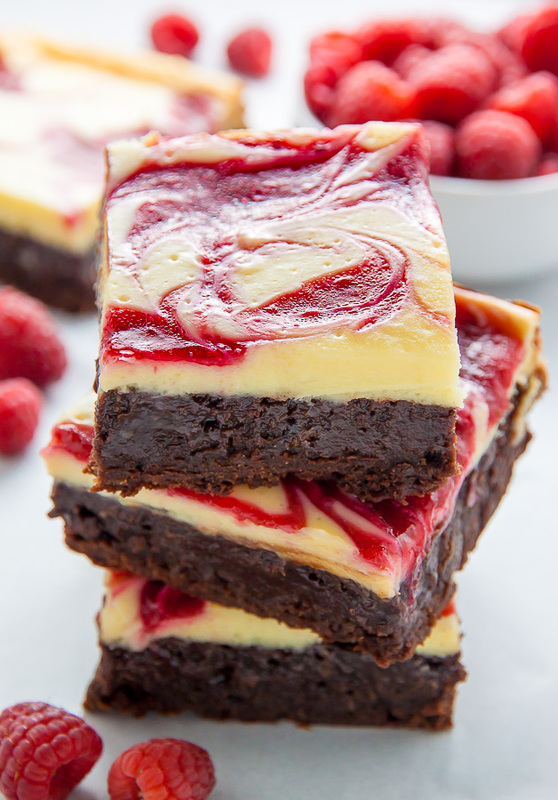 I can just imagine how perfect it would be with the tangy contrast of the raspberries… so gorgeous! this looks fantastic!! Would love to try it but need the european measurements… can you help? Hi Paula. I do not think these brownies would freeze well, but I haven’t tried! This was a giant disaster. I followed the recipe exactly and the brownie layer never set up. They looked great when I took them out of the oven, let them cool completely, then when I went to cut them they were completely liquid underneath. I even baked them AGAIN for an entire hour on convection and they’re no better, besides the cheesecake layer being overcooked. Fail. Hi, Roxana from Japan! I found this recipe on instagram and caught my heart! In Japan, woman give chocolate to men. So I just made it for my fiancé! I followed recipe exactly, but center is still uncooked. Seems like still raw. Is it supposed to be like that? I don’t know if Japanese oven is too weak or I mixed too much or what is wrong . But if you have advice, I would like to know and try it again! I think it’s over cooked and doesn’t look like your pictures but I will post on instagram after my fiancé see it☺️ Thank you for great idea! *In Japan, woman give chocolate to man on Valentine’s Day. Hi Aska. I’m so glad this recipe caught your eye. A few questions: you mentioned in the beginning of your comment it seemed raw, but then towards the end of the comment that it looked over cooked? If you could clarify which issue you had, I’d love to try and help. When I was baking it,top of cheesecake layer was getting brown and I thought it was over cooked. But inside was still liquidely and couldn’t even cut it. You may want to place a piece of tin foil over the top next time so it doesn’t brown as quickly. Do you have an oven thermometer? I’m wondering if your internal oven temperature could be off. Oh, I cut it in an hour. I was gonna throw it away but I’ll wait for more hours. Thank you for your advice! Ha! These are definitely not bikini friendly! But totally worth the “splurge” in my opinion 😉 I would suggest pulling them out 5 minutes earlier next time! That should help with the brownies being softer. I made them last night and tried a litle peace just now . They are fantastic ! The only thing my brownie layer is really hard , I’m hoping it will get a little softer after I let it seat outside refrigerator for a bit . I made them for my friends , so I hope they will love them as much as I do . I love your recepies ! To bad I’m always on a diet, otherwise I wiuld bake every day . But every time I have an occasion or guests over I’m going to your website ! Thank you so much !!! This recipe looks so delicious. Made it today followed all the steps and ingredients baked it at 350 but the cheese got really brown almost a burnt colour on top …can you give me any suggestions? I brought the brownies with me to work and my coworkers and colleagues loved them so very much. They asked me for the recipe and they passed by again to get another bite. I’m planning to make the actual cheesecake version this weekend. Hope it will turn out great as well. 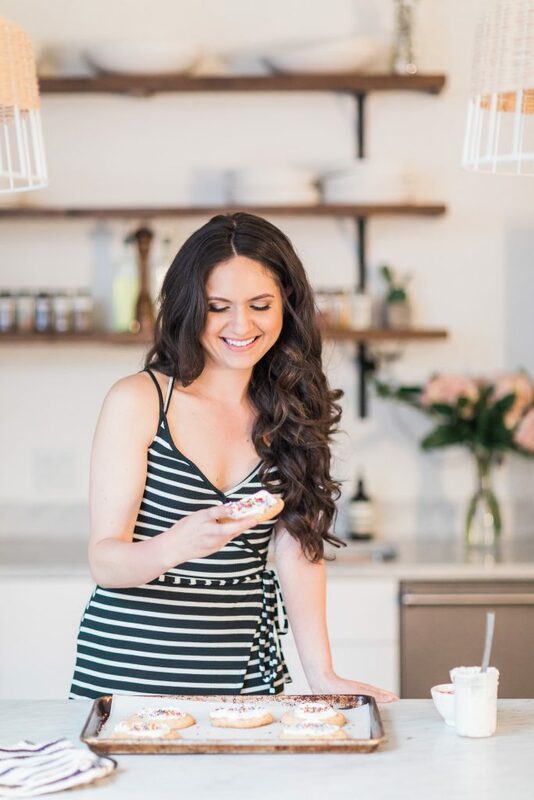 Thank you so very much Ashley for sharing your great baking recipes with us. Hope you have a most enjoyable day. Wish you happiness in your life as you brought us happiness to ours. May I use less sugar for the brownie part? Anyone tried doing this? I don’t suggest it, as it will change the texture and taste. Could you clarify or maybe post a picture of what you mean by overlap the aluminum foil? Also, if you happened to have a box brownie mix on hand, could that be used for the brownie portion rather than making it by scratch? Another thing, I am horrible with melting chocolate. It never stays creamy. Lastly, I was reading through the comments here and you mentioned that it should cool for at least 6 hours before cutting. I didn’t see that listed on your recipe. Thanks a bunch! (You should make a video)!. I made these for our extended family Christmas last night, but they did not turn out like I had hoped. I made them according to the directions and the brownie layer was not a brownie consistency at all, but more like a fudge. The cream cheese layer and raspberry swirl had a nice flavor though and would have been wondeful if the brownie layer had turned out. Sadly this was a baking fail for me and I ended up having to throw the whole pan out as only about 1 or 2 were actually eaten by my family last night. Not sure what I did wrong with the brownie layer, but was disappointed by the outcome as I had such high hopes for these. I may try them again with a different brownie recipe since I am not sure what went wrong with them and why the brownie layer did not turn out? So you do use 3 bars of 4oz chocolate?? Hi, here in the U.K we can’t get ‘block’ cream cheese, only cream cheese in tubs and cartons. After reading your tips, could you please advise me on what to use instead, As I would love to make these! Please check, I have not already sent this comment, as your page suggests, if some one has already asked this, what was the reply? These look like something I would really enjoy!